Round 2 and the first unsealed surface event of the Isle of Wight Car Club calendar back in March was cancelled due to heavy snow brought on by the ‘Beast from the East’, however, on Sunday this round was re-run and in very different weather conditions. 11 drivers competed under a clear blue sky with glorious sunshine at Knighton sand pit. 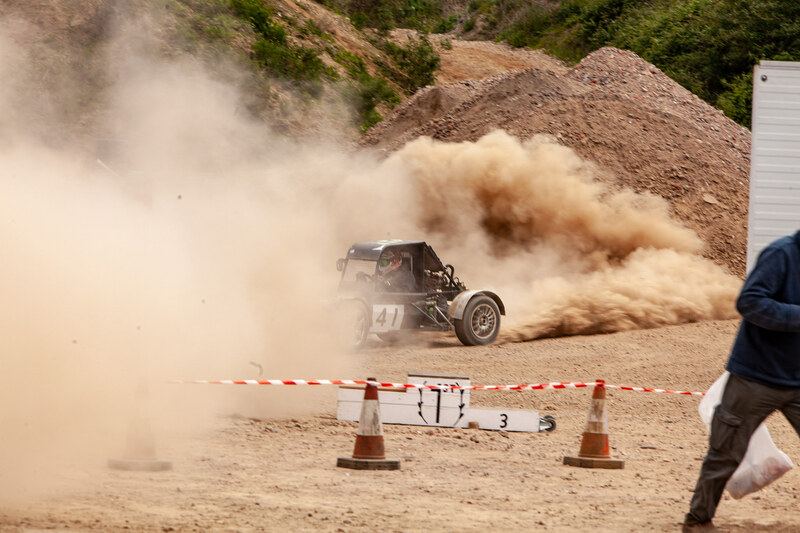 As usual at this venue, the first few runs are always driven with caution as the track is covered in small marble like stones or soft sand and with large rocks and heavy machinery lining the track an off could end a competitor’s day. But as the sun crossed the sky, the stones were brushed away, ruts appeared in the sand, traction was increased and with this times started to tumble. 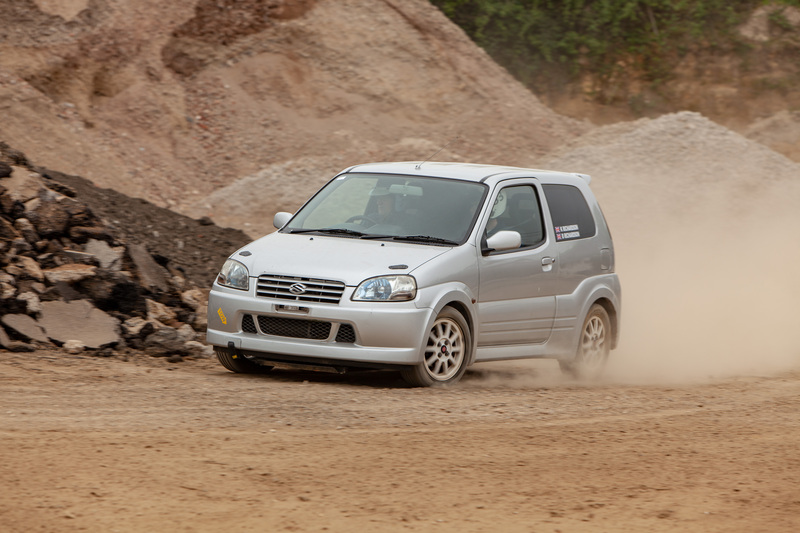 With no drivers in class 1, it was left to father and son duo Barry and Kevin Richardson to battle it out in the unmodified class in their shared Suzuki Ignis Sport. They were also the only ones who took advantage of the PCA rule allowing them to swap between being a driver and a passenger throughout the day. This is a great way to learn the course and receive advice or encouragement as you drive. If you wish to have or be a passenger, see our website for more details or ask at a future event. In the other classes of 4 and 5 it was a 50 / 50 split between front wheel drive cars and all-wheel drive cars. The more powerful AWD cars did not have it all their way as the smaller FWD cars were lighter and more nimble and these very different types of cars were trading places all day. In particular the battle between Jo Moore in his AWD Subaru Impreza and Dan Young in his classic mini became very competitive. In the final stages it looked like either one of these two was guaranteed a place on the 3rd step of the podium. 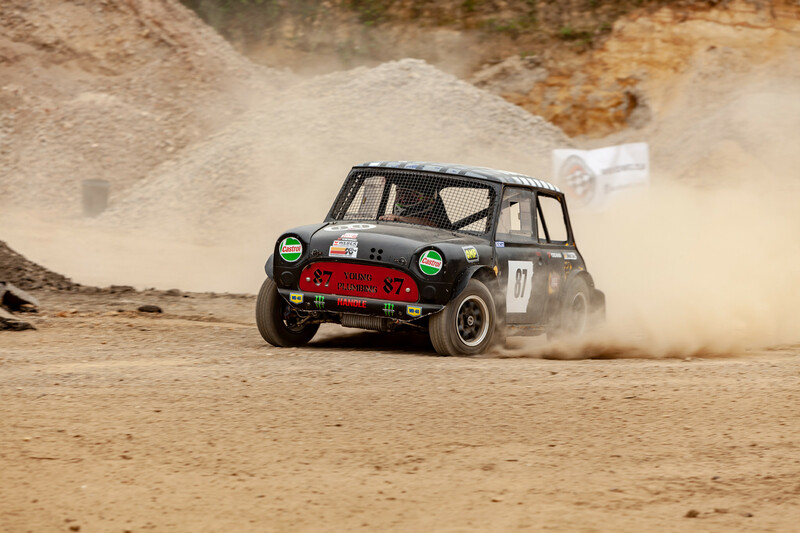 In round 6 Dan Young looked as if he was going to kick Jo off that step with a blistering lap, however, with so much dust being kicked up by his spinning tyres he lost sight of the track and beached his mini on a pile of sand handing Jo 3rd place. The remaining 2nd and 1st steps were destined for either birthday boy Andy Williams or reigning champion Chris Wilson in their single seater specials and it was the latter who dominated all day, so much so that he did not even have to compete in the final 6th run and opted to let Josh Finch drive his car instead. 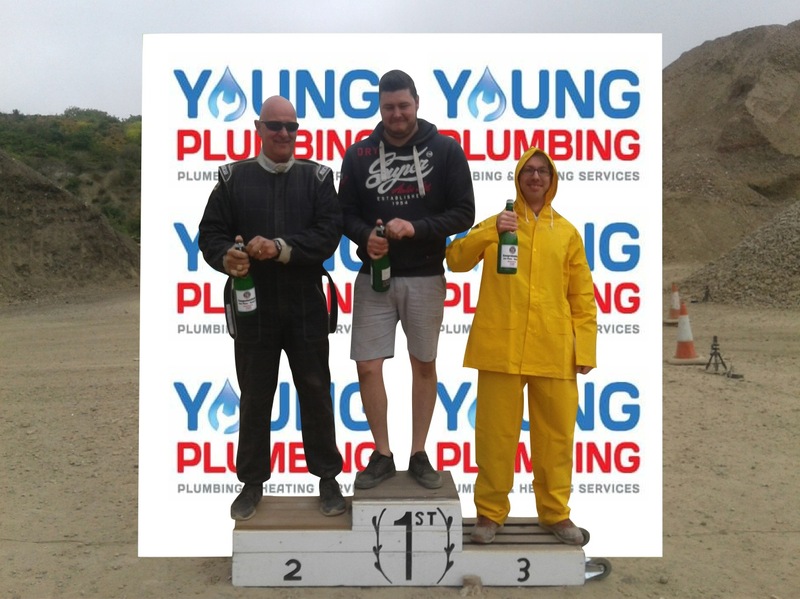 The podium celebrations proved to be very entertaining as Jo Moore regretted winning 3rd place knowing he might get wet from the champagne sprayed on the podium. In a last ditch effort to protect himself he donned a set of marshals water proofs, but this only made him more of a target and had he to bear the full force of the celebratory bucks fizz sprayed by Andy and Chris. 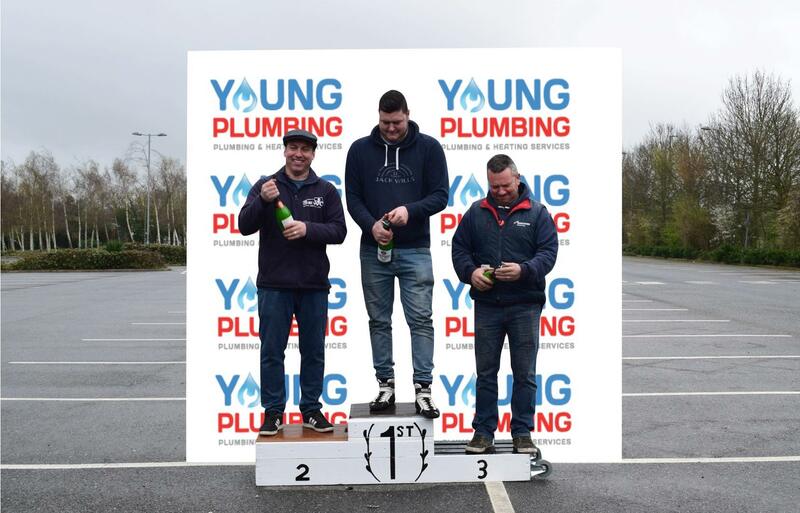 We would like to thank Dan Young of Young Plumbing for sponsoring the podium and supplying the champagne. The next round is also a unsealed surface event at a brand new venue. Cheverton Chalk Pit. Apparently this chalk venue is smooth and suitable for road cars. See the club website for more details.